Last Word Constantia is located in the beautiful Cape Town wine valley and boasts scenic views of vegetation and wine estates in the area. The Constantia Hotel is located in the beautiful and unique suburb of Constantia, which is famous for its winelands and fine restaurants. 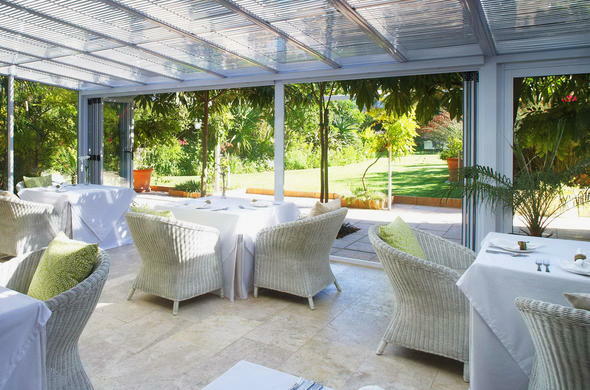 The Constantia hotel in Cape Town is very close to five of South Africa’s top wine estates. The hotel is just a one minute drive from the Constantia Mall and is easily accessible from the freeways. Guests will have easy access to many of the Cape’s scenic highlights in the area. From the Cape Town International Airport, follow the N2 towards Cape Town. When you reach the mountain turn left on the M3 Muizenberg turn off and continue on the M3 until the Kendal road turn off. Turn right into Kendal road and left into Spaanschemat River road at the T-junction. Continue over the traffic lights and as the road bends at the bottom of the hill, you will need to turn right into Willow House. The Constantia accommodation’s reception is on your left as you enter the gate.